The Roadrunners suffered just their second regulation loss Friday night, falling 5-2 to the San Antonio Rampage in front of a raucous crowd at Tucson Arena. The teams entered the evening on opposite ends of the Pacific Division spectrum; Tucson holding the top spot in the group, while San Antonio sat at the bottom in eighth place. Friday night’s loss, which snapped Tucson’s four-game win streak, bumped the Roadrunners down to the number two spot in the Pacific. The Rampage came out hard; they came out rabid. Tucson escaped a first period in which they were outshot 11-2, but San Antonio struck for a pair of goals in a 51 second span to take a 2-0 lead early in the second. Just over seven minutes into the middle frame, Mark Olver snuck his second goal of the season past San Antonio’s Spencer Martin when he skated into a Kevin Connauton drop pass and fired a wrist shot from the top of the left circle. San Antonio responded, tough, 1:30 minutes later to reclaim a two-goal lead, one they would take into the third period. Goaltender Justin Peters was pulled from the game following San Antonio’s third goal. He stopped 13 of the 16 shots he faced. Rocco Grimaldi all but iced the game when his goal 5:32 minutes into the third gave the Rampage a three-goal lead. With just over three minutes left in regulation, Kevin Connauton got the Roadrunners back to within a goal, beating Spencer Martin with a shot from the slot. 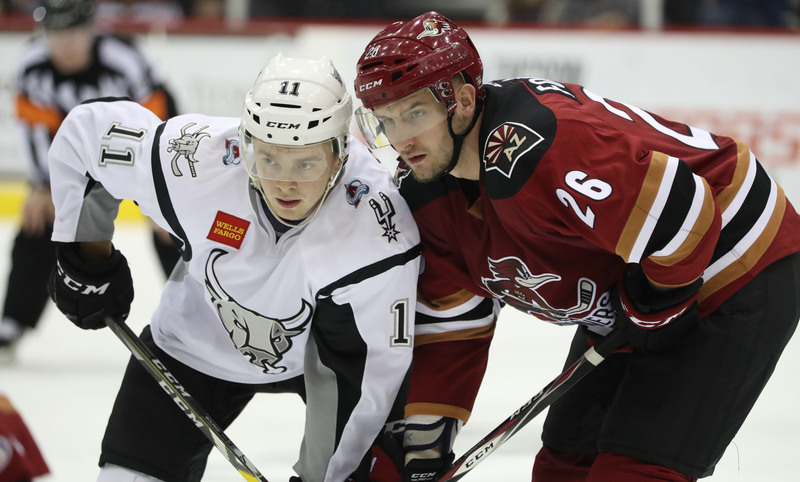 Connauton, in his first game with the Roadrunners this season, finished the night with two points (1G, 1A). San Antonio added an empty-net marker with seven seconds left to play, upping their lead to 5-2, the night’s eventual final score. 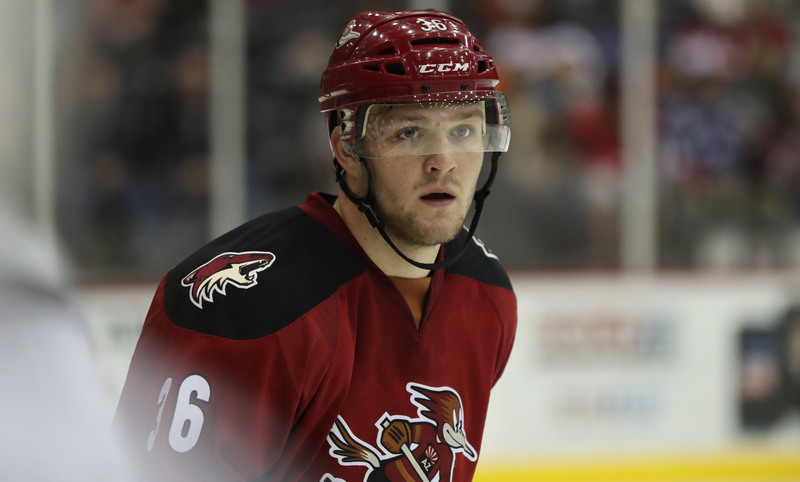 Kevin Connauton (1G, 1A) led all Roadrunners players in points scored (2), and in shots registered (6). Justin Peters and Marek Langhamer combined to make 21 saves in the loss. The Roadrunners will host the San Antonio Rampage again Saturday night at Tucson Arena, a game that features an early 6:05 PM start for the New Year’s Eve Holiday. All hot dogs, sodas, and popcorn will be for sale for $1, and the first 1,000 fans in the building will receive Roadrunners-themed noisemakers.